On International Cable Car Day, the Table Mountain Aerial Cableway hosted its 28-millionth visitor, a milestone for Cape Town’s famous attraction, which received its most recent one million visitors in less than a year. 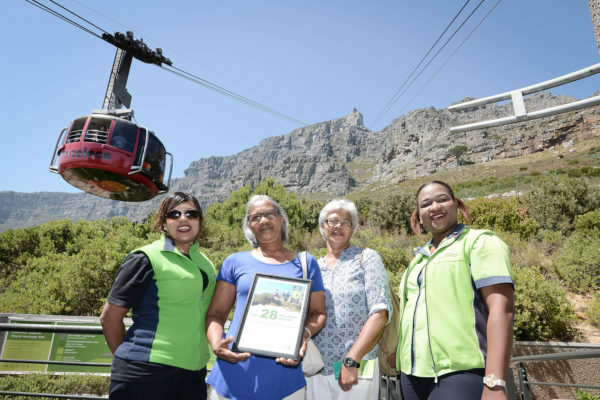 An unsuspecting Mildred Garrett from Somerset West had a surprise waiting for her when she arrived at the Cableway when staff members greeted her and handed over a gift which included an official certificate, treats from the Table Mountain Café, and Cableway tickets and merchandise. 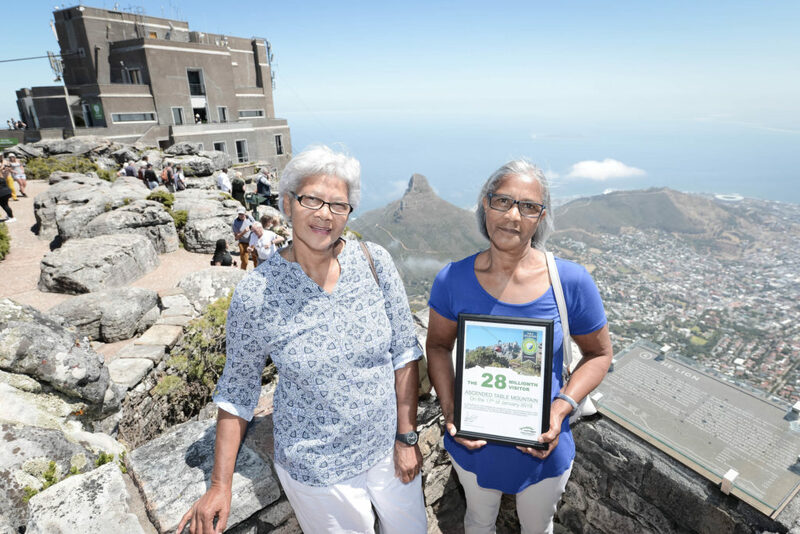 Mildred Garrett of Somerset West became the 28th Millionth Visitor to Table Mountain Aerial Cableway, she was accompanied by her Sister Elizabeth Titus Cape Town, SOUTH AFRICA. “All I can say is wow,” said a thrilled Garrett, who was accompanied by her sister, Elizabeth Titus. Garrett explained that it was her first trip up the mountain. “It’s my birthday today and I thought it was a good time to take my first trip up the mountain. What a wonderful surprise this has been, I look forward to telling my friends and family about it. “This was extremely unexpected, it feels a bit like a dream,” she said. 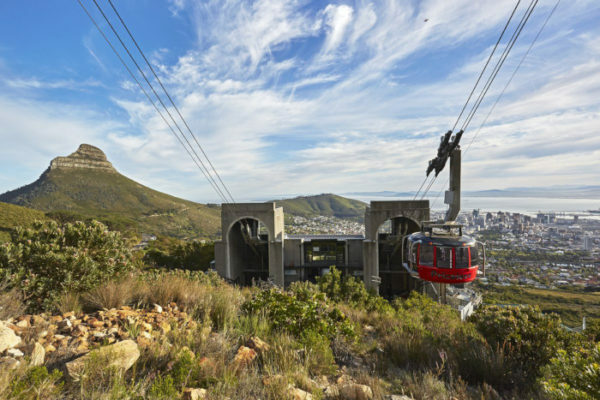 The Cableway’s Managing Director, Wahida Parker, said the rate at which the latest million was achieved was a result of a consistently high number of visitors throughout 2018 and a successful peak season. 1. Each of the cable cars’ cables are 1 200m in length and weigh 18 tonnes. 2. The two cable cars, which can each carry up to 5 200kg, counterbalance one another and cannot operate independently. As one goes up, the other must come down. 3. The journey to the summit takes visitors 704m up from the Lower Cable Station at 363m above sea-level to the Upper Cable Station which sits at 1 067m above sea-level. 4. The cable cars travel at a maximum speed of 10m per second. 5. The original steel and wood cable cars have been upgraded three times, first in 1958, again in 1974 and most recently in 1997, when the round cars with revolving floors called ‘rotairs’ were introduced. 6. Similar rotair cable cars are found in Titlis, Switzerland and Palm Springs, USA. 7. The cable car base is a water tank with a 3 000l capacity. This provides fresh drinking water for visitors, and is used as ballast in windy conditions. 8. The cable cars have carried many famous visitors up the mountain, including Jude Law, Oprah Winfrey, William Shatner, Maher Zain, Rodriguez, Forrest Whitaker, Sting, Brooke Shields, Michael Buble, Tina Turner, and Jackie Chan – and those are just a few of them. Locals are reminded of the Cableway’s Summer Sunset Special that ends on February 28 2019. 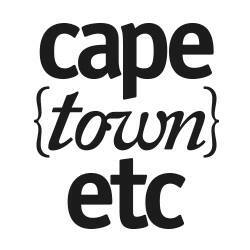 Valid from 6pm daily, the Sunset Special costs R145 per adult for a return ticket and R72.50 for children under 18 years. A valid South African identification or ID must be presented when purchasing tickets for the Sunset Special.